Rotary Club of Glenville was chartered as a “breakfast club” in 1986 from the Scotia Rotary Club which met at lunchtime. Glenville Rotarians are men and women who may be your neighbors or work in local businesses. Glenville Rotarians value all worthy and useful occupations from bankers to electricians, as well as young professionals to retirees. Anyone who has an interest in service to others, high ethical standards, and the advancement of goodwill and peace through fellowship is welcome to join us! Local initiatives focus on Glenville parks, eradicating hunger in our community, supporting youth activities and recognizing our Veterans for their service.Rotary is a worldwide organization of business and professional leaders that provides humanitarian service, encourages high ethical standards in all vocations, and helps build goodwill and peace in the world. Approximately 1.2 million Rotarians belong to more than 32,000 clubs in more than 200 countries and geographical areas. Rotarians belong to Rotary clubs. Rotary clubs make up districts. All Rotarians, clubs, and districts together make up Rotary International. 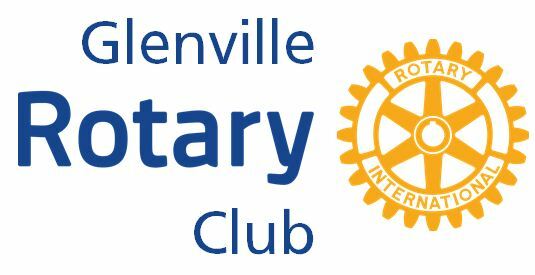 If you would like more information about Glenville Rotary, you can click here to email our club.